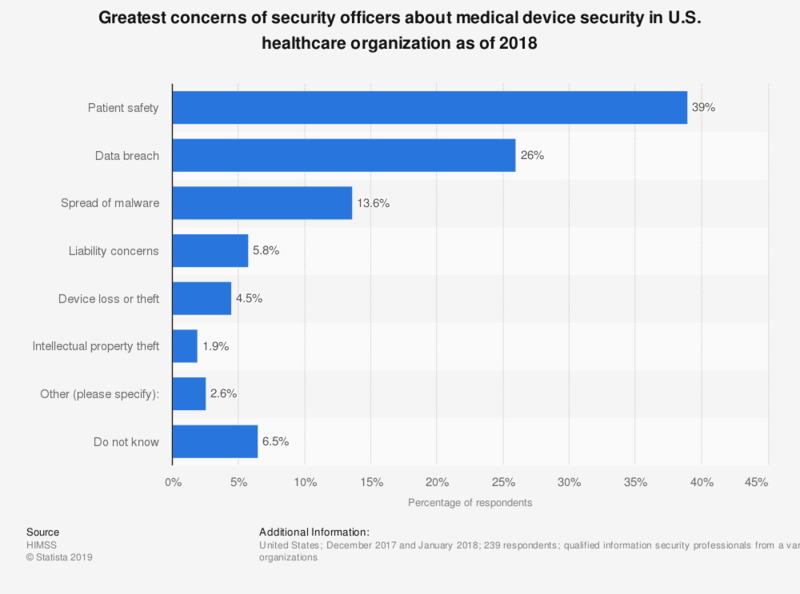 This survey depicts the greatest concerns of security officers about medical device security in healthcare organizations in the U.S. as of 2018. According to the survey, 39 percent of responding security leaders stated that patient safety is the greatest concern about medical device security in their organizations. Original question: "What is your greatest concern about medical device security at your organization? Please choose the best answer."